The worldwide Spinning Master Instructor team consists of 150 expert instructors who have extensive experience in delivering the Spinning® programme. The role of the Master Instructors is to pass on their exemplary knowledge, and deliver education and training courses at official Spinning centres. Last week we had the chance to sit down for a chat with Barry Ross, Scotland's only Master Spinning Instructor. In this interview he tells us about his journey with Spinning and gives fellow instructors some of his top tips. Hi Barry, Could you tell us a bit about your journey to becoming a Spinning Master Instructor? My Spinning journey started 12 years ago at a 2 day course in Belishill. I had to start teaching indoor cycling at the club where I worked at the time and although I had a little indoor cycling experience from a short 4 hr workshop a year or so earlier, it didn’t give me much in the way of skills or confidence to go and teach a real class. I loved that it was 2 full days of learning and that it related to real cycling and training. There is a clear journey of progression through the Spinning program and so much to learn through all the continuing education workshops, home study courses and events, so I found myself attending more and more education events and growing as an instructor. Within 4 years or so, an opportunity came up to apply for the role of Spinning Master Instructor and with the knowledge and experience I had built up, I felt confident enough to submit an application. I was fortunate enough to be successful and attended a Master Instructor training camp in the Netherlands and that was some 7 years ago now. What advice would you give an instructor or sports club to help them fill those last few bikes and create a bit of a buzz about their classes? Keep progressing your classes. In the Spinning program we often work to an end goal – Race Day. Let your participants know that the next class is more than just another class, it’s another important step forward to Race Day. Be consistent – consistently change the profile, intensity and music to keep people wanting to come back. How do you make sure your challenging the more experienced riders in your class and accommodate for beginners at the same time? You will often hear a Spinning Instructor say “It’s Your Ride”! This means the participant is in control of things like cadence, resistance and ultimately intensity. Everyone is on the same journey within the class but they can modify it to suit their current fitness or energy levels. What tips would you give an instructor who’s struggling to choose or find music for their class? It takes time to build up a music library. Most instructors who come onto our courses know where to find music but they don’t know what they are looking / listening for. If you know what music track you are after then it’s easy to find, but it you’re listening for a certain sound then that just takes time. You have to spend time just trolling through music and as time goes on you get a better idea of the music you’re searching for. Just be sure to consider all genres and not just dance. 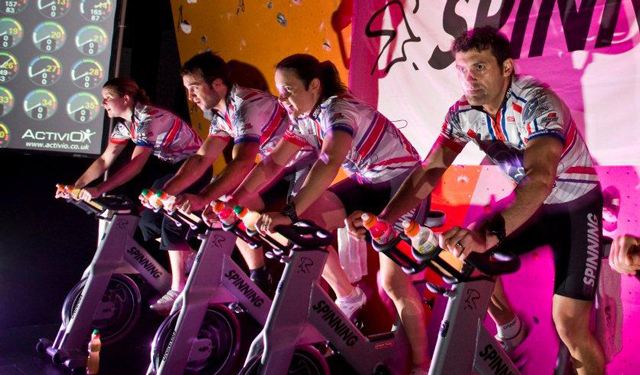 Do you see the launch of Spinpower changing the way Spin classes are taught? What would you say to an instructor looking to start incorporating power measurement into their classes? Yes absolutely! 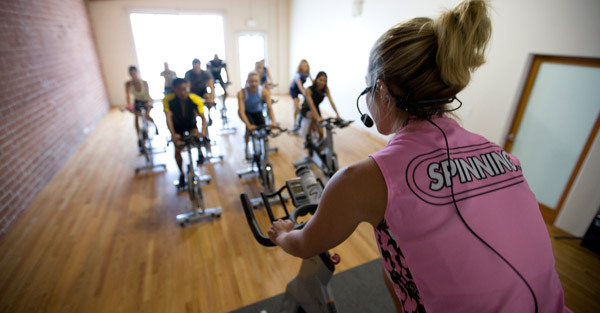 The Spinning Program is a training program and each class is a training session and not just a workout. As such, heart rate training and monitoring has always been part of the program and we use what we call Energy Zones to vary the intensity and progress training. It’s a great motivational tool as people like to know what they are actually doing in the class. It gives them something to work towards and focus on. 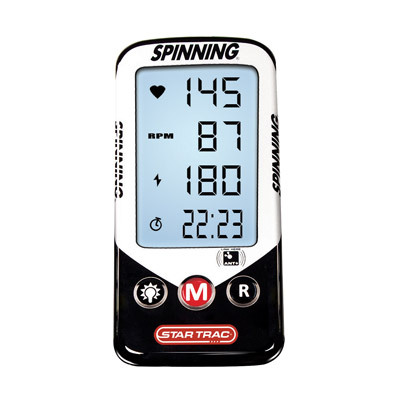 Spinpower takes this to a new level as it is deadly accurate and the data shows up instantly on the bike computer whereas many things affect heart rate and its accuracy. Of course you will need to attend the Spinpower training course where you will learn about power training, its benefits and how to apply it to your classes. It will give the instructor yet another platform on which to structure their rides on and participants will see their power increasing which is a sign of improvement and thus satisfaction. What is your Spin bike of choice and why is having quality equipment important in running quality classes? 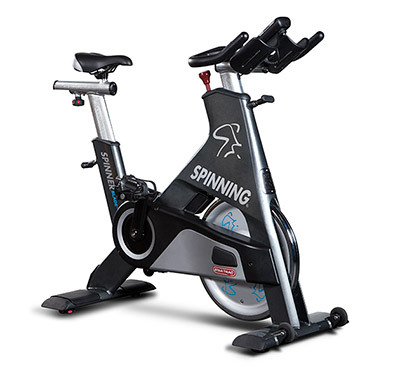 The Spinner Blade Ion would be my bike of choice as I can use power training in my classes and I can still use heart rate training too and they can be used individually or together in the same class. Of course you can still put a great Spinning Ride together without power or heart rate and so the Ion accommodates those instructors who are not familiar with monitoring intensity. We want our participants to have a good experience every time they attend a class. Aside from a good profile and great music, it is important that the riding experience is good too. Bikes should be of a high quality and Spinner Bikes are built to meet that high standard. They are designed and built based on a road bike and feel and ride like a road bike. They have up to four adjustments to allow you to find the perfect fit and keep you safe and comfortable. A consistent maintenance and cleaning program is important to keep them running smoothly and efficiently. These things are very important as uncomfortable ride or faulty bike will lead to a less than optimal experience. This entry was posted in Gym Owners Advice on 26th February, 2014 by Colin Evans.